We are slap bang in the middle of Wedding season and if like me your weekends for the next few months are filled with Hen Do’s, Baby Showers, Christenings and fancy weddings you are going to need a go-to outfit to pull out of the wardrobe and throw on without too much fuss. A well-fitted Boho maxi dress ticks all the boxes for me as short or tall maxi dresses can give the illusion of a long slim body ( with the right shoes ). I have been on the hunt for a lightweight maxi dress for sometime when I saw this one by Very reduced from £75 to £22.50. 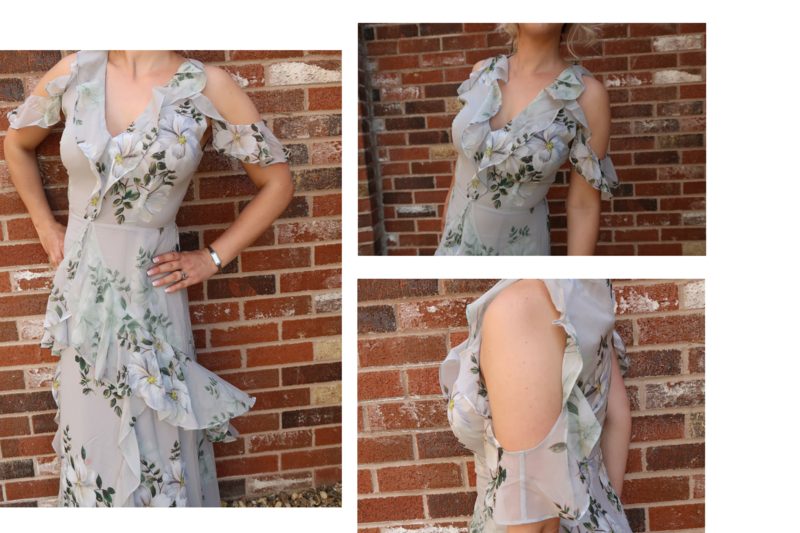 I have styled it today as a wedding look but with a change of accessories, this dress could be worn to anything from a summer BBQ to a royal wedding. What I like about the Boho look is it’s a little more relaxed and you don’t need to worry about looking too perfect. Hair can be a little bit wild and clashing colours add to the Hippy vibe. I really like the off the shoulder detail and mermaid ruffles on this dress and when your accessories for the day are 2 kids you need an outfit you can bend over and move about in without fear of overexposure. As a side note to this, I learnt my lesson last week by wearing a shortish dress to a Christening and then spending the whole service running around the altar after Charley trying to cover my bottom. Grace & elegance I was not !! 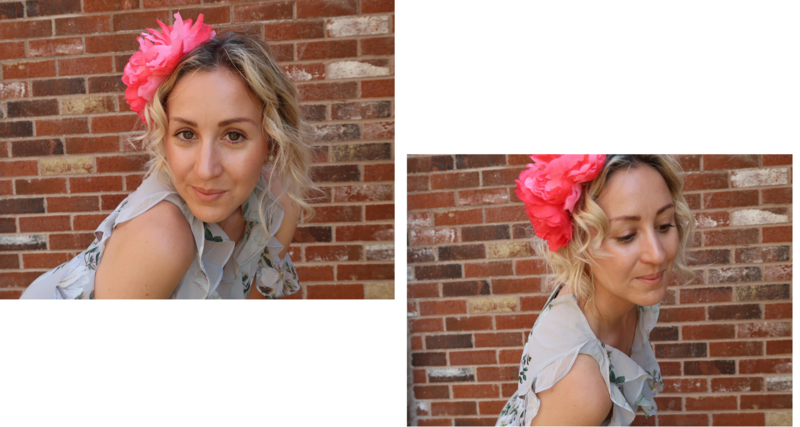 Hair-wise I think natural waves always look good and also along with a hairpiece they are great for hiding you’re in between colour appointment roots. Jewellery I have kept to a minimum with just my Gucci watch, tiny pearl earrings and my rings on. With a colourful hair piece & jewelled sandals there is no need to start adding bangles and necklaces to the look as it would look too ‘done’, and this look is all about a relaxed boho feel. So as I mentioned earlier short dresses at special occasions + children = disaster, even more so when you add high heels to the mix. I am no Giselle but Christenings and Weddings are looooooong days so when I can I like to wear flats. The pair I have on today was £80.00 from Kurt Geiger and I picked them up at the duty-free store at Manchester airport last summer. The jewelled fronts add some glamour to the sandal and help to finish off the boho look. 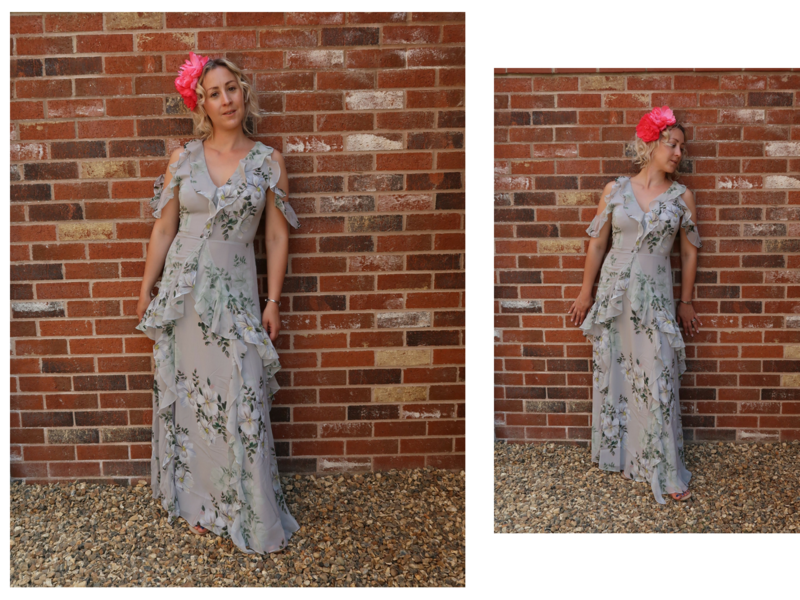 Fancy ordering a fancy new maxi dress for your next special occasion, then take a look at this selection and let me know which one is your favourite. "Why The S.A.S Need Training By Mums"